During most of this century, American health policy has emphasized caring for acute conditions rather than preventing and managing chronic illness - even though chronic illness has caused most sickness and death since the 1920s. In this provocative and wide-ranging book, Daniel Fox explains why this has been so and offers a forceful argument for fundamental change in national health care priorities. 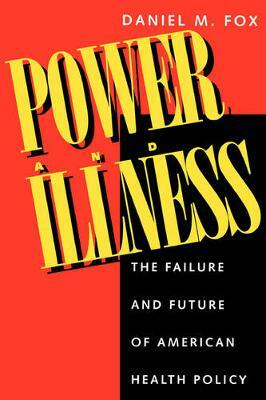 Fox discusses how ideas about illness and health care, as well as the power of special interest groups, have shaped the ways in which Americans have treated illness. Those who make health policy decisions have increased support for hospitals, physicians, and medical research, believing that people then would become healthier. This position, implemented at considerable cost, has not adequately taken into account the growing burden of chronic disabling illness. While decision makers may have defined chronic disease as a high priority in research, they have not given it such a priority in the financing of health services. The increasing burden of chronic illness is critical. Fox suggests ways to solve this problem without increasing the already high cost of health care - but he does not underestimate the difficulties in such a strategy. Advocating the redistribution of resources within hospital and medical services, he targets those that are redundant or marginally effective. There could be no more timely subject today than American health care. And Daniel Fox is uniquely able to address its problems. A historian of medicine, with knowledge of how hospitals and physicians behave and how health policy is made at government levels, he has extensively researched published and unpublished documents on health care. What he proposes could profoundly affect all Americans.